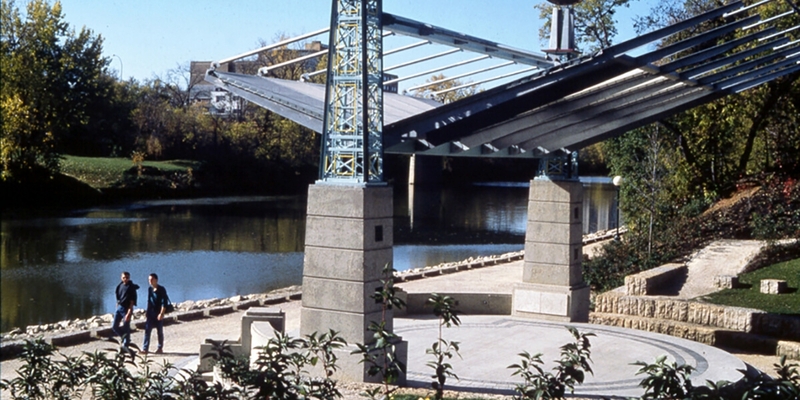 Scatliff + Miller + Murray (SMM) was hired to prepare the development plans for Bonnycastle Park, which involved the reclamation and transformation of a three-acre parcel of land. 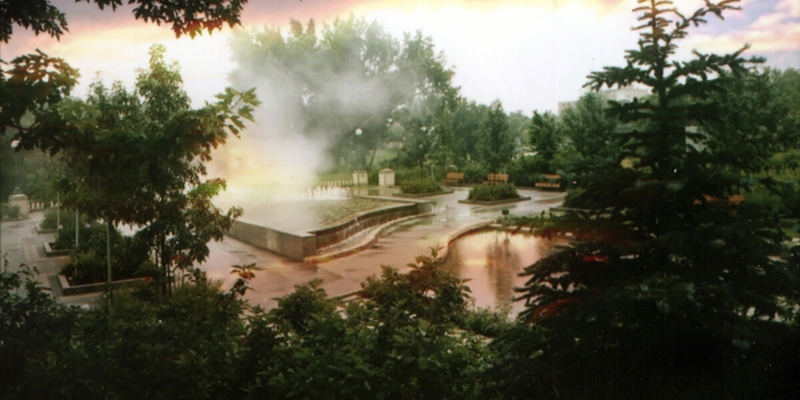 Bonnycastle Park incorporates a high profile urban park with a state-of-the-art fountain system and plaza; an urban oasis. 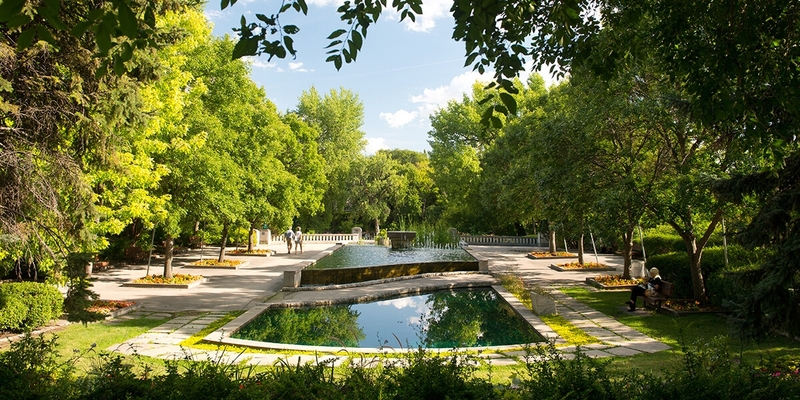 The park is located on the upper bank of the Assiniboine River, providing a window out onto the river. Rich in history, the site was home to the former Upper Fort Garry HBC trading post. In recent years it has been utilized for various industrial functions including a large automobile repair shop, which had contaminated the site. Together with KGS Group Consulting Engineers, SMM worked to reclaim and stabilize the riverbank to include a Riverwalk connection, conducted environmental assessment and mitigation for contamination, and undertook hydraulic engineering to ensure fish habitat and erosion control.